Despite years having passed since he was taken in by Lord Asano (Min Tanaka), half-breed Kai (Keanu Reeves) is still an outcast shown little respect by his surrogate family or their loyal samurai. When Asano is betrayed by rival Shogan master Lord Kira (Tadanobu Asano) and his trusted sorceress Mizuki (Rinko Kikuchi), and the samurai are banished as disgraced Rōnin by a visiting official, Kai is finally given the opportunity to prove himself as a true samurai as he joins Kuranosuke Oishi (Hiroyuki Sanada) in battle to avenge their fallen master and save his daughter Mika (Kou Shibasaki). Although based on a true story — or at least a Japanese legend that is based on a true story — 47 Ronin takes more than its fair share of liberties. The general revenge plot survives relatively intact from the original story, but the witches, demons and even Kai himself were all created specifically for the feature film. Unfortunately, first-time director Carl Erik Rinsch lacks the skill necessary to integrate screenwriters Chris Morgan and Hossein Amini’s very Western embellishments with a story that has endured in the East since the 18th Century, and 47 Ronin is doomed to disharmony as a result. It is not all Rinsch’s fault, to be fair, as Reeves was attached to star a whole year before he was hired as director. The actor, who joined the project in 2008, when he was still a relatively common sight in multiplexes thanks to starring roles in Street Kings and The Day The Earth Stood Still, has since all but vanished from the public consciousness, and sadly –aside from waning star-wattage — Reeves has very little to offer. 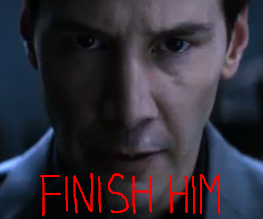 His Kai, aside from looking incongruously Caucasian, is at best a missed opportunity (and at worst a waste of space); he’s clearly been inserted to make the narrative more accessible to American audiences, but Reeves is hardly known for his ability to connect with audiences on an emotional level. 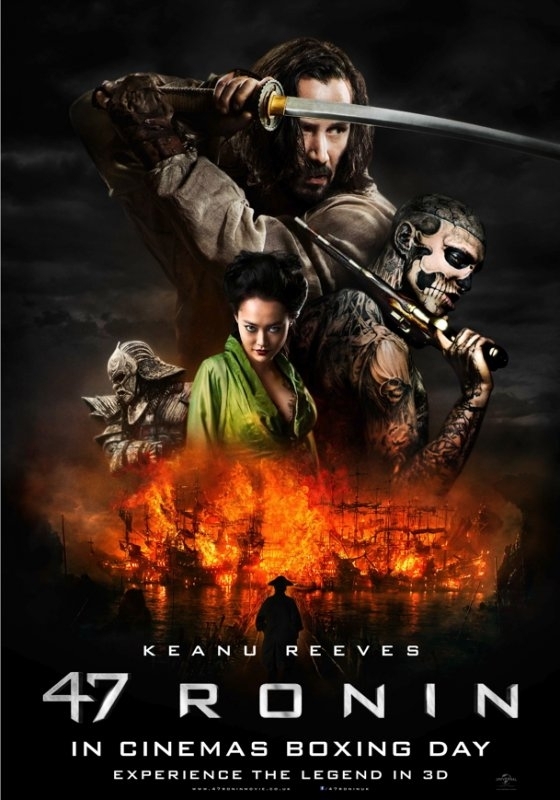 Unless you’re a shareholder in Universal Pictures, however, it would be inaccurate to label 47 Ronin a total disaster, as it is at the very least intermittently entertaining. The 3D is pointless and the special effects look unfinished — indeed, the first creature to appear is a literal eyesore — but whenever the camera is pointed at a real-life set or location it is clear that at least some of the $175 million budget was well spent. The landscape is lush and spectacular; the costumes are bright and colourful; and the Japanese cast are as watchable as Reeves is wooden. (It’s a terrible thing to say, but at least they have talent to waste.) The final battle is even reasonably well staged, and while it might still be far from exciting it is still impressive in its execution. For a year as strong as 2013, it’s a shame that it should go out on such a whimper, but 47 Ronin is far from a complete disappointment. The original legend has clearly endured for a reason, and its influence on present-day samurai epics and revenge-thrillers is clear to see in its abundance of cliches. The film ultimately falls down wherever Hollywood has muscled in thinking that it knows best; while Kai may find acceptance with the Rōnin, for audiences he will always be an unwelcome intruder. This review was originally published on my personal blog, Popcorn Addiction.